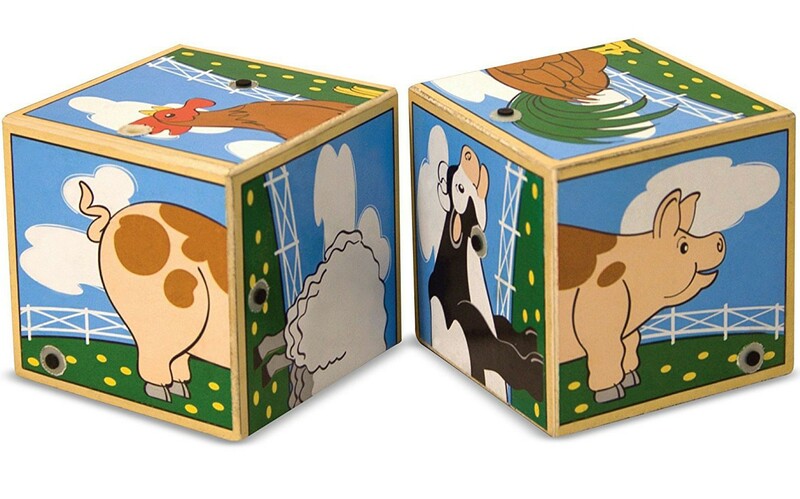 Once you've matched up 2 of the electronic sound cubes correctly you will hear a friendly farm animal noise. 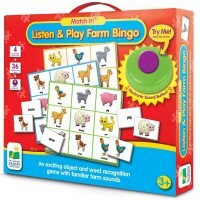 Match, listen, learn! 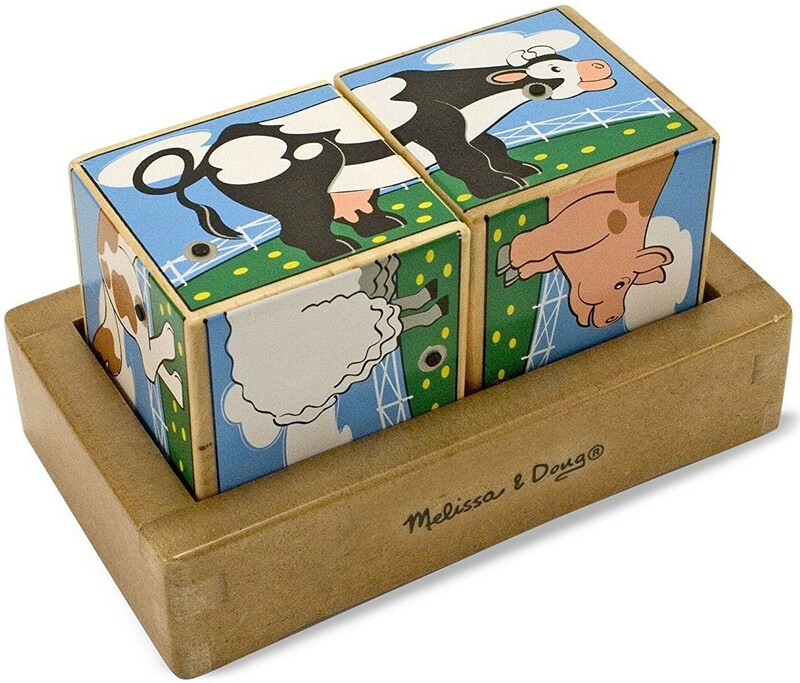 The Farm Sound Block by Melissa & Doug is an exciting toddler activity toy with the most advanced safety features, making it perfect for even the youngest children. 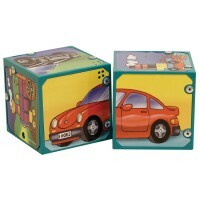 The electronic learning toy features two vibrantly painted blocks and a sturdy wooden base. 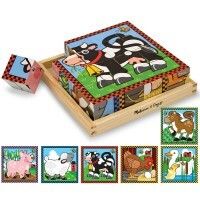 Each side of each block has a partial image of a barnyard animal. 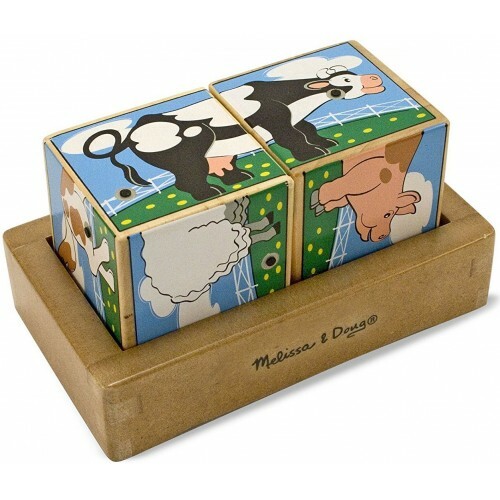 It's up to you to match up the two cube picture halves and make one whole creature. 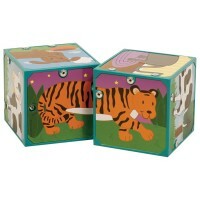 Once you've matched up the cubes correctly and placed them in the wooden base, you will hear a friendly animal noise. 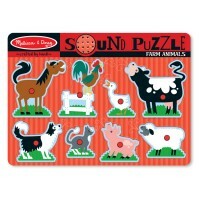 Educational Toys Planet offers this sound recognition activity set as the perfect way to teach children about farm life, problem solving and cause and effect. 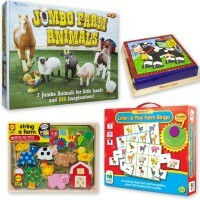 Once you completely match an image the cow will moo, the pig will oink, the sheep will bah and more! 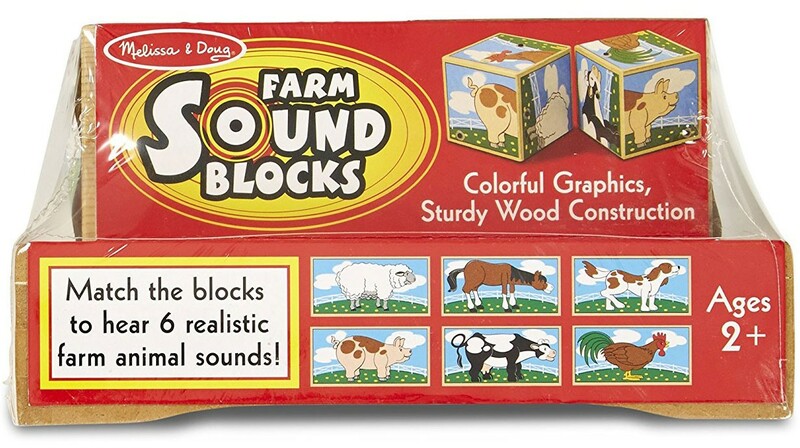 Dimensions of package 4.3" x 7" x 3.8"
Write your own review of Farm Sound Block. 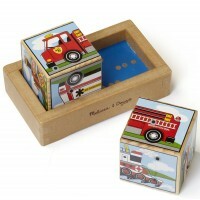 Rating: 5 by Rachel, WA My 2 year old loves playing with this cube. It's still slightly challenging for him, but he's so happy when he can make the sounds work! Rating: 5 by Phyllis, NJ My 3 year old grandaughter just loves this toy. 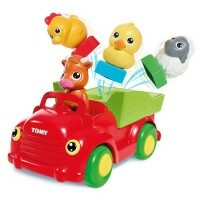 It is very sturdy, the sound is terrific and it is fun for her to do. The toy keeps her interest. Rating: 5 by ronnie, LPN Moooo!! 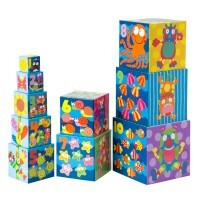 !, great learning toy!